Alkatraz-1943 chestnut. Sired by Man O'War-r, out of Alwizer-r.
OF Grand Champion, Blue Ribbon Offer, Westphalian stallion. Dropped Soap-1954 chestnut. Sired by Discovery, out of Prison Pet. He is linebred to Fair Play on both sides of his pedigree. 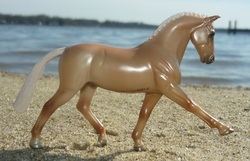 War Prince-1960 Bay. Sired by War Admiral-r, out of Oiseau-r. But I wanted to keep War Admiral's sire line going so I decided to take on a giant undertaking. I spent hours going back through pedigrees and trying to find the right angle. I'm happy to have WA's sire line in my herd. 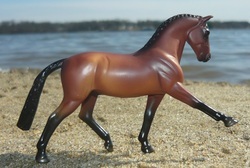 OF Breyer Classic War Admiral. Prison Break-1968 chestnut. Sired by Alkatraz, out of Bewitching Brenda who is owned by Brenda Varian. Lockdown-1981 black. Sired by Prison Break, out of Royal Justice (owned by Shadow Wolf Stables). Shown here after being body clipped. 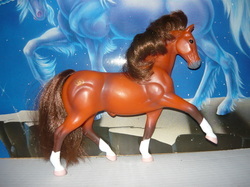 Star Wars-1982 chestnut. 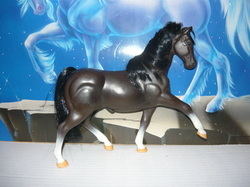 Sired by War Prince, out of Queen Colours-r.
OF Breyer Man O'War, matte. 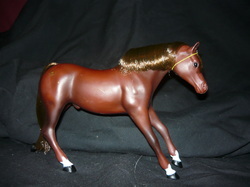 Figure-1989 dark brown/black. Sired by Relaunch-r, out of Azure Blade-m. Bred by Legacy Farms. Recently took 4th in his first photo show. 2010-Twisted Sense, dark bay/black filly (x Twisted Words) Bred by Shadow Wolf Stables but owned by me. 2010-Witches Brew, bay sabino colt (x Storms A Brewin) Bred by Twin Springs Stables but owned by me. 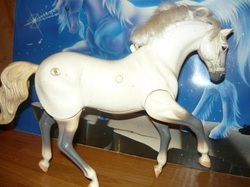 Ze Launch-1990 gray (bay base). Sired by Relaunch-r, out of Azure Blade. Bred by Legacy Farms. Only full sibling of Figure. 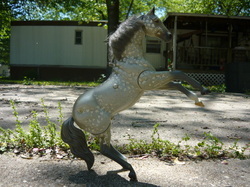 OF Grand Champion, Grey Ghost. 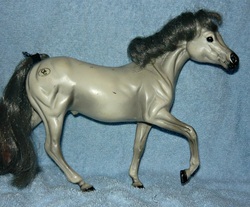 Solitary Confinement-1993 Palomino. Sired by Prison Break, out of Lemon Bits-r.
Frame My Fyre-1998 chestnut frame overo and sabino. Sired by Broadway's Top Gun (r), out of Patchy Lass (r). First pinto pattern in our MOW sire line. 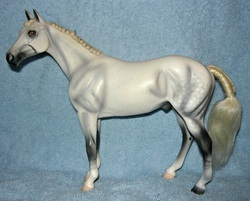 Saber Quest-2000 Gray (buckskin based). Sired by Star Wars, out of Another Saga. 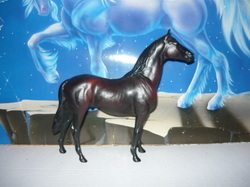 OF Grand Champion, Sound N Action Stallion, Lightning. 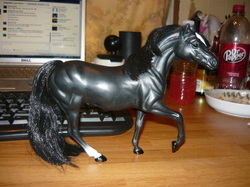 War Saga-2001 Dapple gray (black base). Sired by Star Wars, out of Another Saga. RPG Launcher-2003 dapple gray (bay base). Sired by Figure, out of Skydancer. 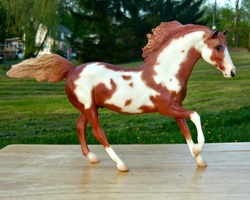 Helfyre-2003 chestnut frame overo and sabino. Sired by Frame My Fyre, out of The Wicked Crystal. 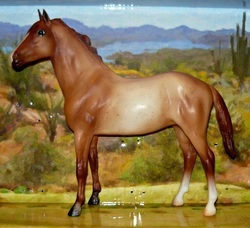 Contraband-2008 chestnut (possible sabino). Sired by Figure, out of Fire Vixen. Bred with the help of Spur Star Ranch. KSW Commotion-2008 liver chestnut. Sired by Chanteuse-r, out of Catchin Fire-m.
OF Grand Champion, Blue Ribbon Offer, Commotion. Assassin-2009 bay. Sired by Figure, out of Skydancer. Witches Brew-2010 Bay sabino. Sired by Figure, out of Storms A Brewin-m. 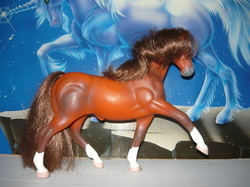 Bred by Twin Spring Stables. Bold Dictator-2011 bay. Sired by Icurable Tyrant, out of Eliseu (BRZ). Bred by Gubbera Park at their USA Facility. 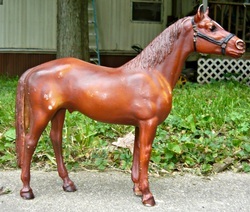 Solid Rain (AUS)-2012 chestnut. Sired by Sol (AUS) , out of Verdent (AUS). Bred by Gubbera Park. Bred in Australia and imported. Direct Sireline goes back to West Australian through Solon, not the Man O'War branch. Cold Front-2014 bay. Sired by Assassin, and out of Tizlaunch. 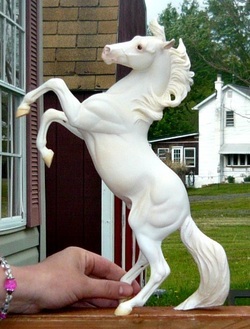 OF Breyer, Smarty Jones, Frankel. Color genetics- EE AA. He will always toss bay unless bred to a dilute. Inbred to Relaunch 3 x 4 generations. Pic credit @ Jennifer Scott. Ze Warlock-2014 black. Sired by Ze Launch, out of Witchcraft. OF Grand Champion, Black family from the early years (I think). Inuyasha-2014 bay Dominant White. Sired by Assassin, out of Michele's Asami. Conceal N Carry-2015 chestnut roan. Sired by Figure, out of Catch An Error. There is a story behind this colt. You see Figure managed to jump the fence to the back pasture where CAE was at with the retired broodies (though she wasn't retired herself, she just couldn't get along with the younger mares). Well anywho I didn't know anything about this till a few months before he was born that his dam was in foal. I was mad as hell! But anyways, happy he's a healthy baby!